( like just switching between a TEST and the REFERENCE DATA ). in a automatic batch routine. BATCH timeframe adjustable: 1.3sec .. 4days? LONG vs. millis()? for long time already i wanted to play with the generation of a real ANALOG OUTPUT signal. we want to measure here as Z.
but in steps, representing 0..7 for X and Y.
with the output N we will switch a LED to discharge above voltage source. add there are minimum limits adjusted. 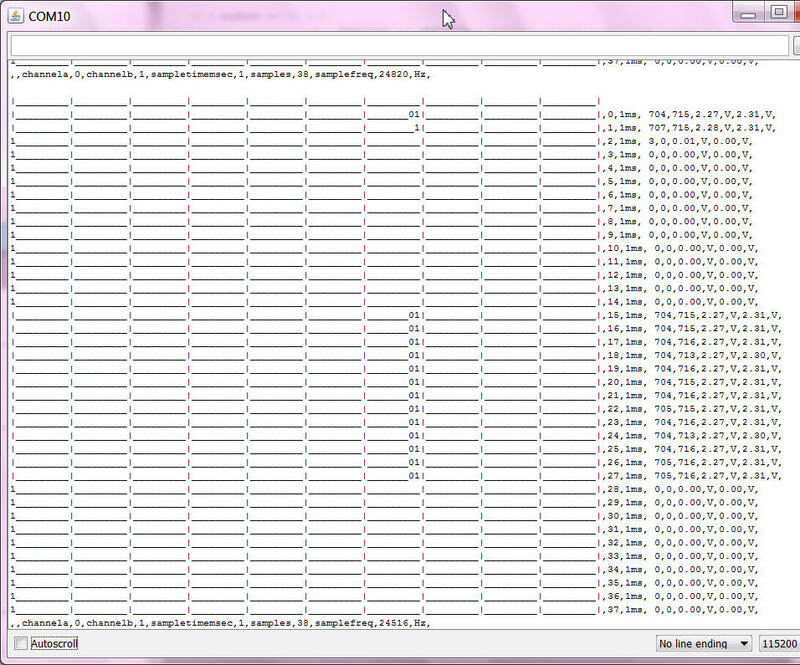 the value list i copy for test directly to the 4D.csv file. 128 measurements at 10millis should be 1.28sec. 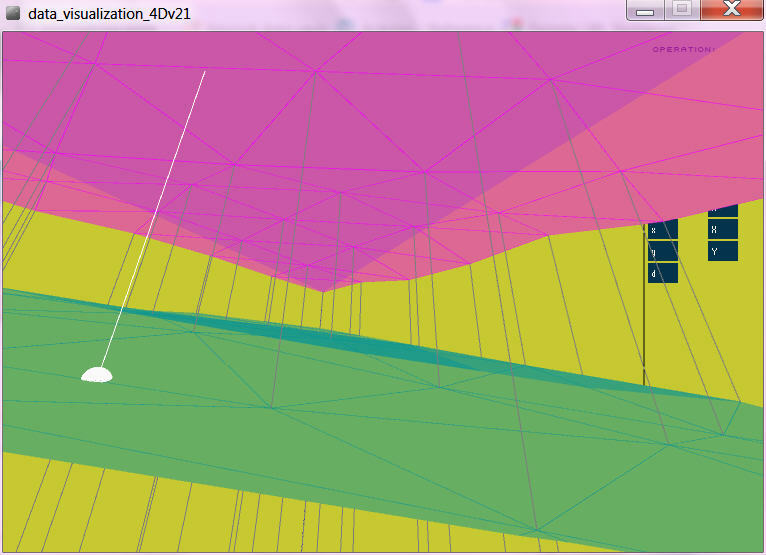 but my default time ( no RTC, only internal millis) shows no better resolution. 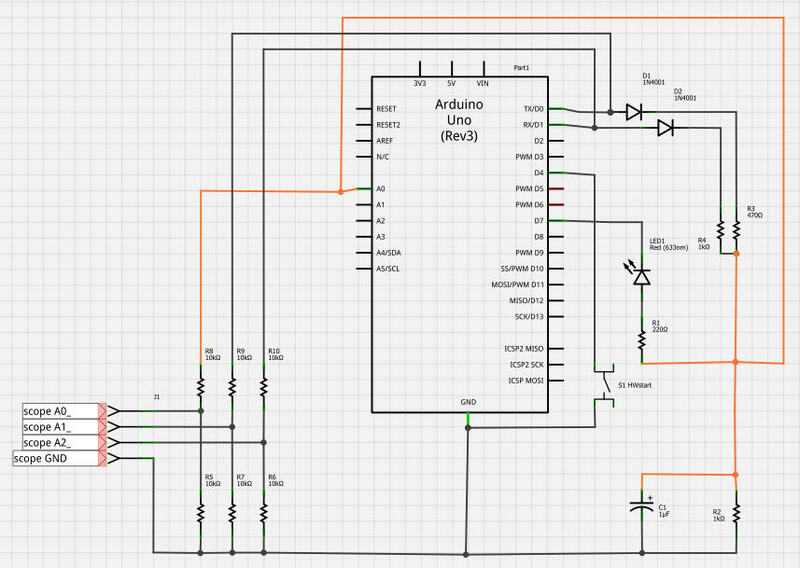 a settlement time of 8millis would mean 8 PWM cycles "analog" output only. and taking the measurement ) can be a critical process time. i could set n+1 setpoint directly after each measurement n and with this have a maximum length of possible settling, about the sample time. just for the signal quality? a wire Ain0 to 3v3 brings data 698 .. 701.
a wire Ain0 to GND shows clean 0 over the whole batch. and got a little red light dimming and blinking according test cycle. and that after the first switch ON!! ( to GND via the N=1 Dout7 = LOW). So, actually that project could be finished here. -b- it should be possible to adjust any manual setpoint for not batch operation. 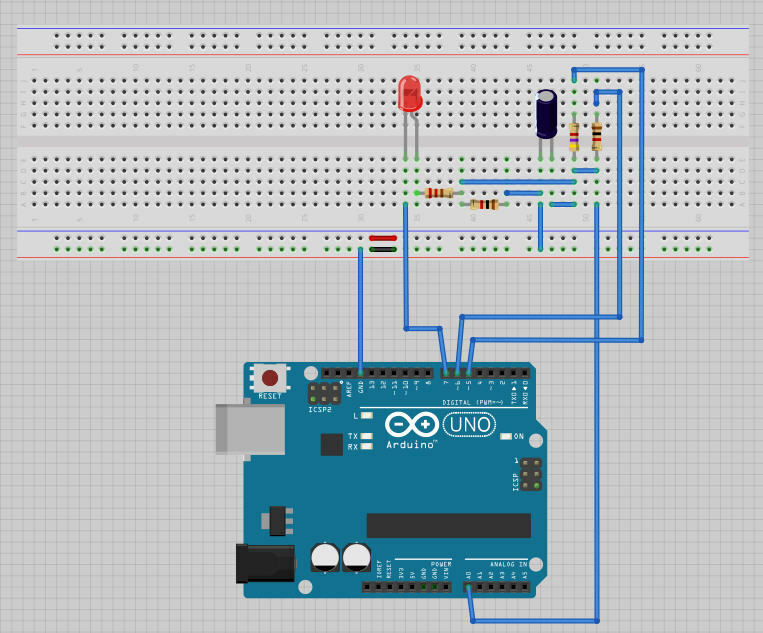 but i had a fancy idea, i just included in the visualization the complete communication with arduino. is no easy way to select USB port. and opens item  of that list. if nothing is connected get that many red error lines, but n.p. if the number is wrong you must change it manually in the code. i use sampletime 1000millis, and settling 900millis. i did not want to fill up the harddisk, but the temp file has actually a good name for long time storage, 4Dyymmddhhmmss.csv, using the time of the data transport to processing. 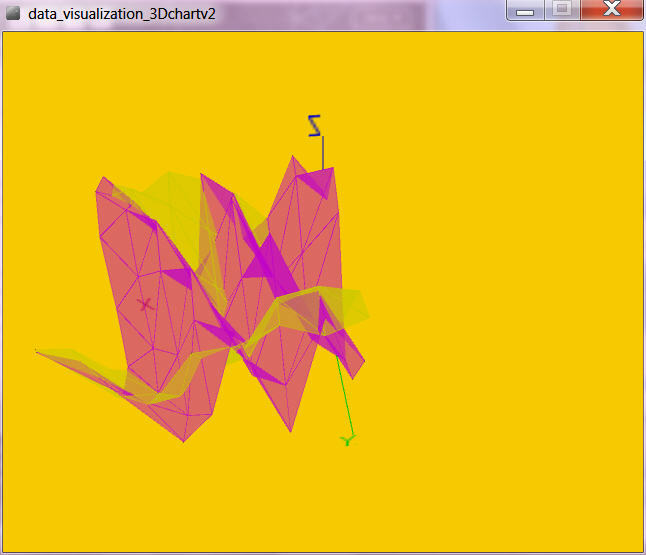 - (r) rename temp file to datafile and open, read, and 3.5D graph it. prints already the resulting array at the end of the batch. - on arduino  not makes much sense. resets the arduino, a  prints the default list, the measurements are gone. 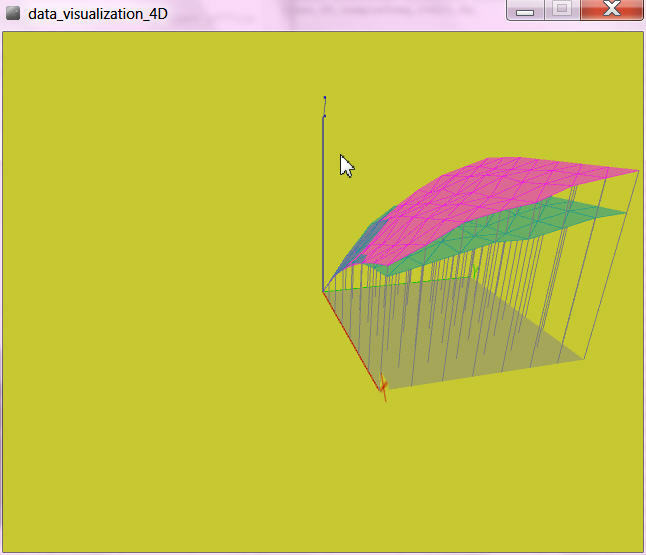 [r] delete old 4D.csv!!! rename temp file to 4D.csv. open read graph it. 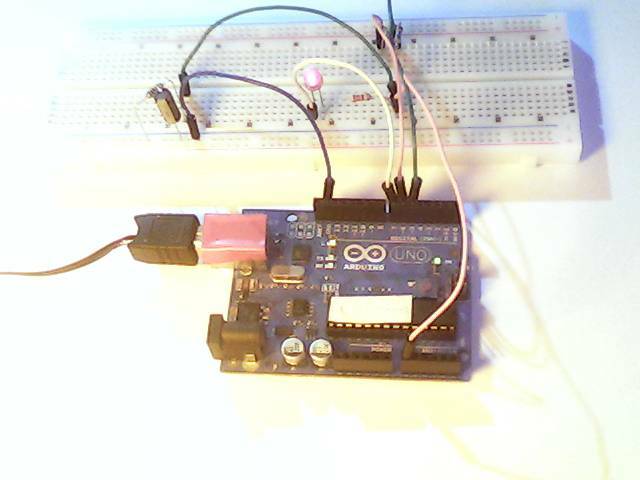 but you should know that there is the possibility to  measure from arduino terminal. start a other terminal like HTERM, send  and get the data, and use the save output to file feature. because that terminal software does not do a reset of the arduino!! 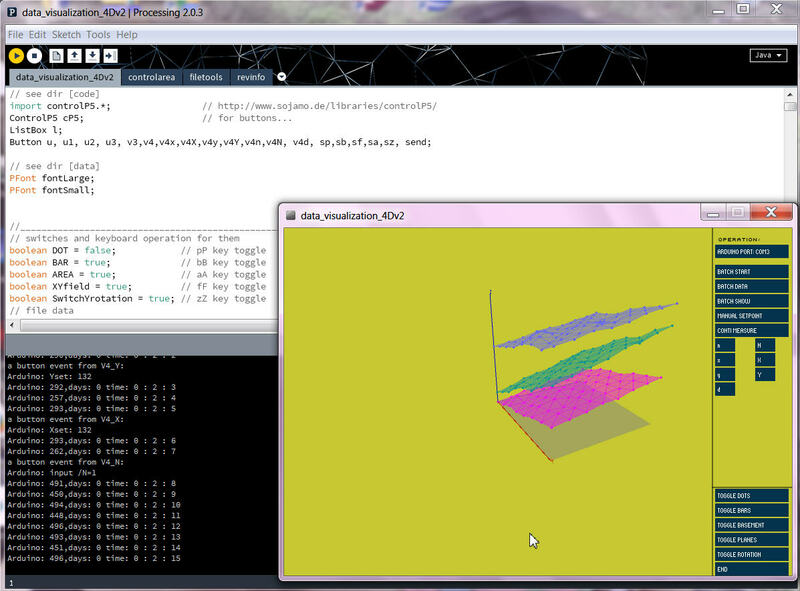 and the arduino not even echo the '2' , so the outputfile is clean for use as 4D.csv. i pack the V1.0 code of both projects for you. where in (4) a further adjustment of setpoints is possible. 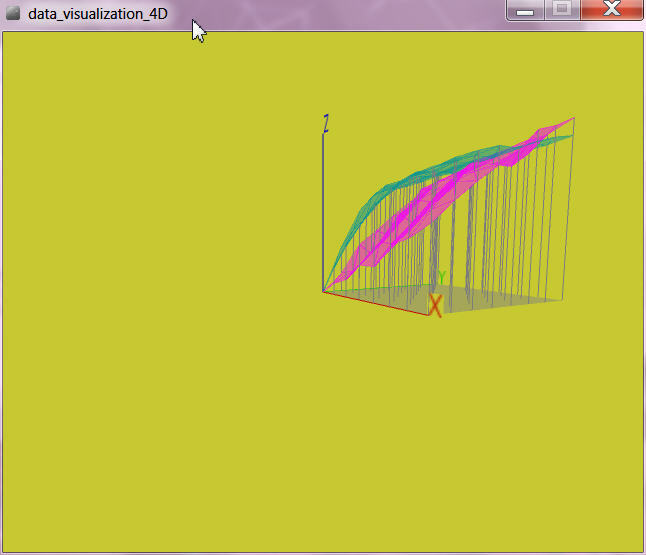 using nNxXyY for the 3 parameters down UP ( x,y ramping +- 5of255). its a kind of blind operation, but you see the result Z in terminal. there you can see the actual setpoint. 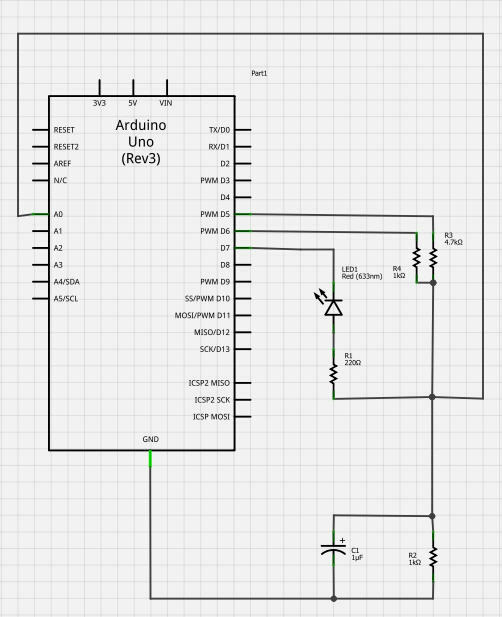 in arduino must be the terminal window active and cursor in input field! 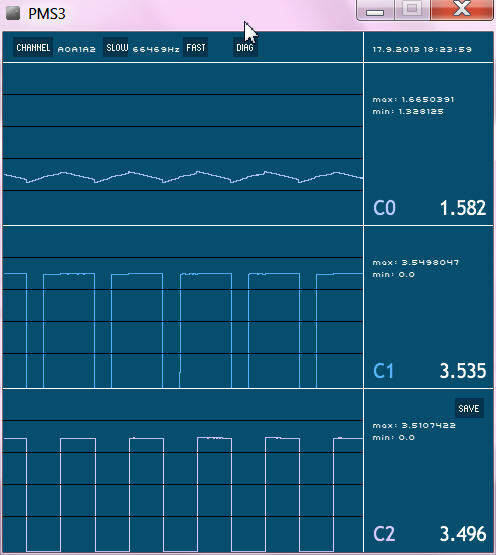 but just look diagnostic window for arduino answers. i need to see it on a oscilloscope. - should there be a analog filter for the A0 input? - now i think that the PWM is loading AND unloading the capacitor? i must say i am impressed by the signal, never more bad as 0.5V delta. but the resolution is too bad, need to beef up the hardware. use the same PMS2 code, load MP IDE and upload to MAX32 board. and now the PWM5 and PWM6 with setpoint 50%, i see they have same start / stop time! 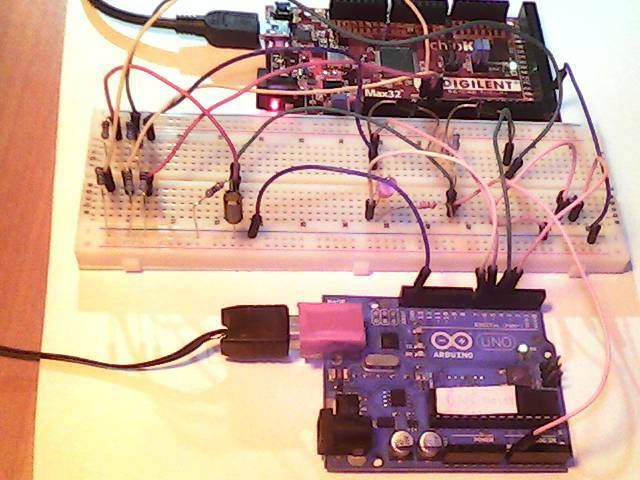 Arduino signal - 10k - MAX32 signal - 10k - GND. With that, 1.5div = 1V. the signal shows only 2.3V instead the expected 2.5V?? but can not find my UNO powersupply now. the 1k 5mA, the PB is N.O. normally open. insofar is the MAX32 more accurate because it makes from USB "5V" the 3V3, the UNO runs on that USB "5V". D5 and D6 are via diodes loading the RC network, but can not unload it. 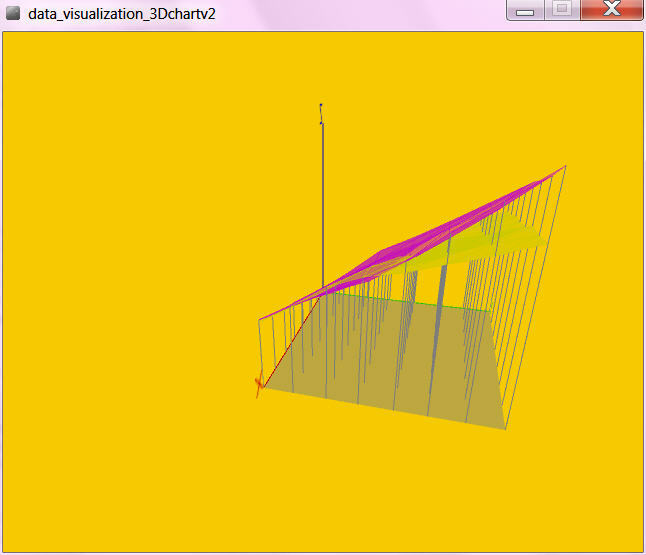 here the pictures by my new tool, i am too tired to think about it now. ok, back to the question what we did, when we added the loading diodes. first, they reduce the loading voltage ( 5V ) from the PWM pins by 0.7V. The plan was that now the "analog voltage" is not discharged by the PWM signal, only loaded. FILE2: with the loading diodes. would be good to have some tool for that? UPS, we just build one. now we sure that the loading diodes not make much sense, they change a planar voltage field to a curved one, and have a lower voltage in high range, with or without load. so i used half hour to make PMS3, a 3 channel scope! as the 3rd measurement takes time, the +- dial ( delay time) array must be adjusted new, for MAX32 and for Arduino ) so here just measure with 22kHz. so that is some more work until PMS3beta is ready. 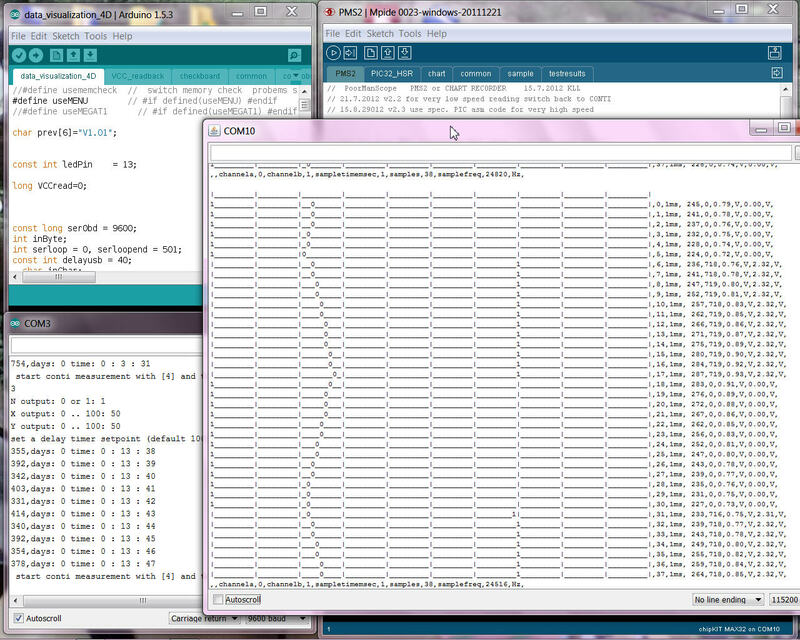 TESTBENCH setting N=0, X=75%, Y=50%. and that fits into UNO even with 3 channel sampling. 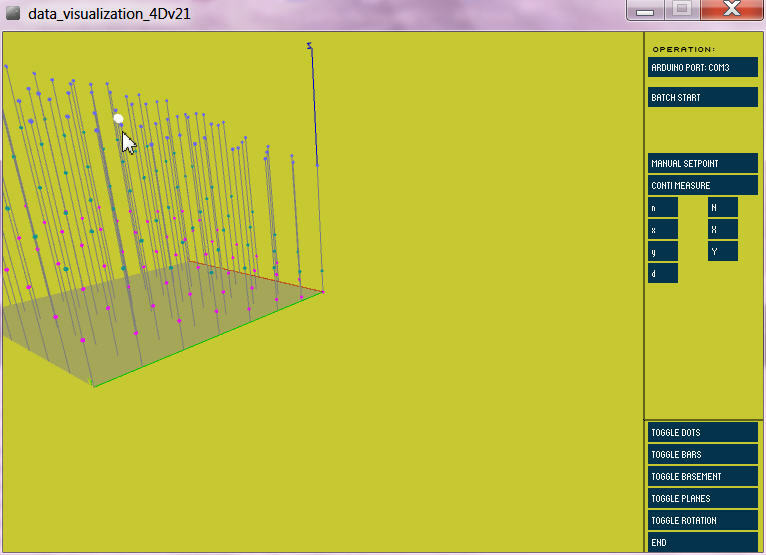 but for the processing tool operating it, i switch to 360 array length == width of scope. 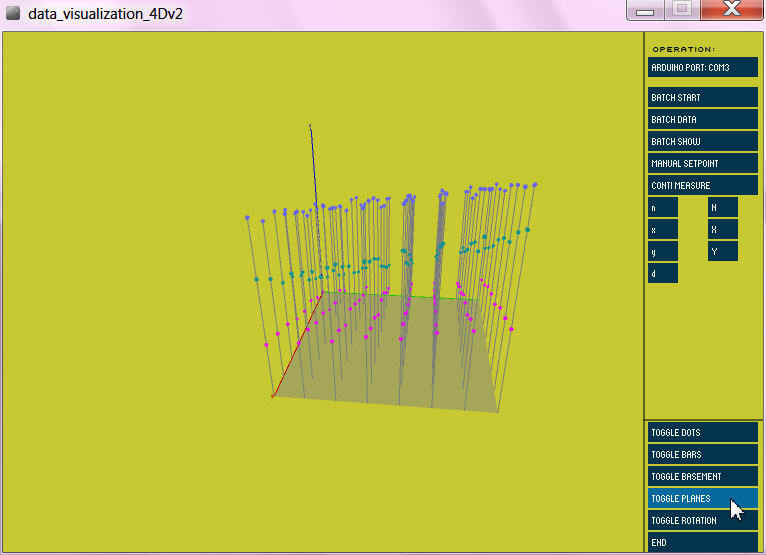 and its processing scope visualization. 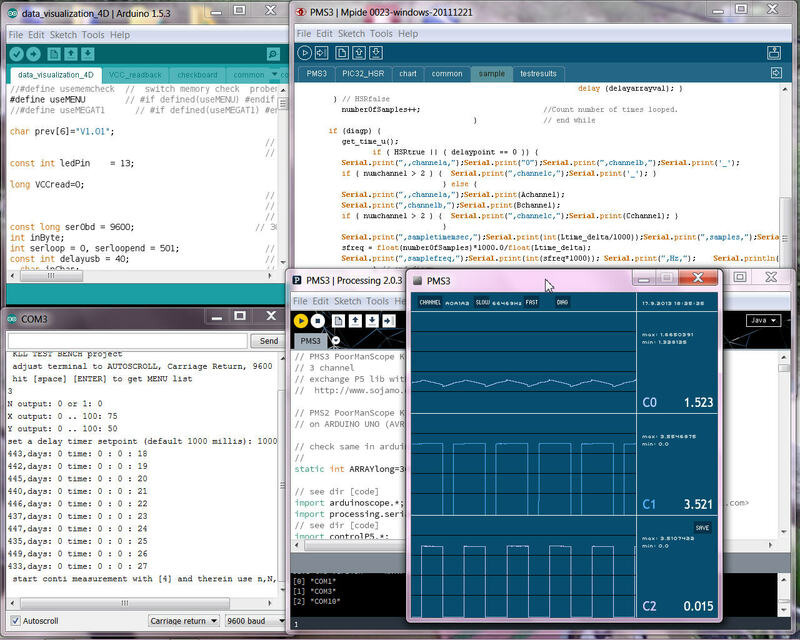 PMS3 (MPIDE ( can be used in Arduino IDE too) / Processing) code of both projects for you. ( COMx) without asking first, connecting to a board should be just a option. while i want to work on the operation concept, i first want to deal with that link issue. 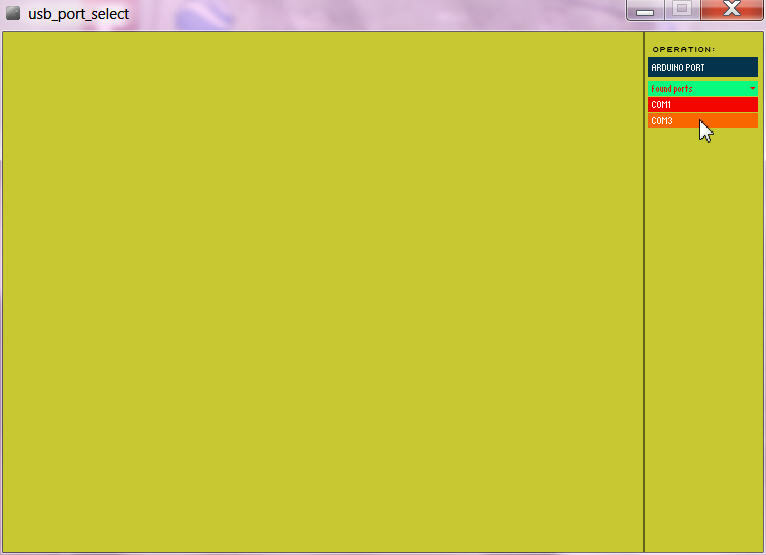 using processing 2.0.3 and a new controlP5 lib i made the com link selectable. and now have 3 planes? to use 3 level for N.
above 3 planes are the result of it, add to 5 resistors and one capacitor. 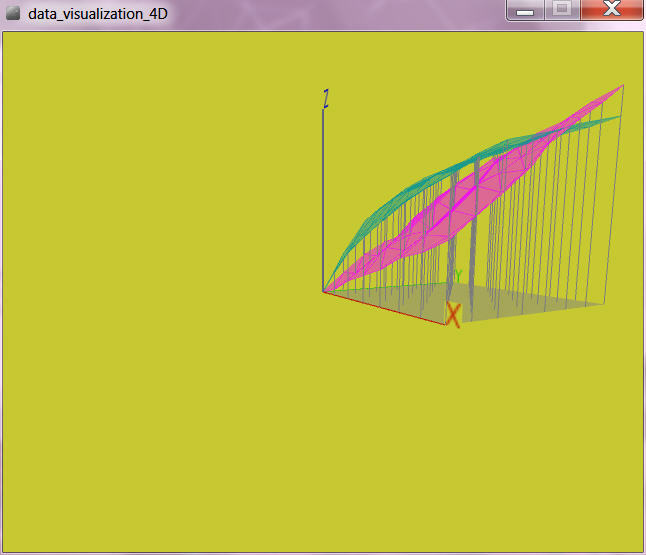 the N=1/ D7 INPUT plane has a different slope as the others, i did not try to calculate that network. 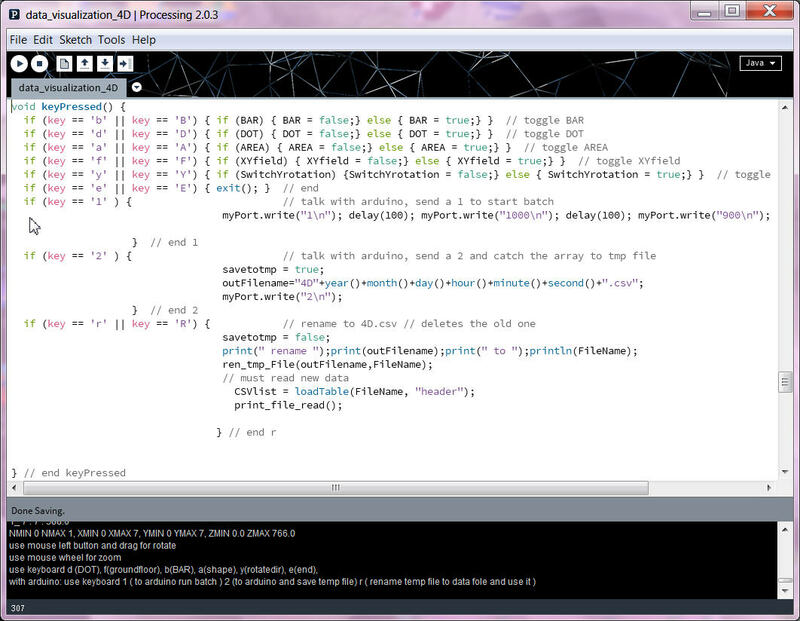 in rev 2.1 full operational from processing via buttons. but somewhere on the way i loose the file rename?? it gives now error for deleting the "old" 4D.csv file. so instead of rename i open and read that just made last file from arduino. for using that data after restart you need to copy/rename that data file manually to D4.csv. 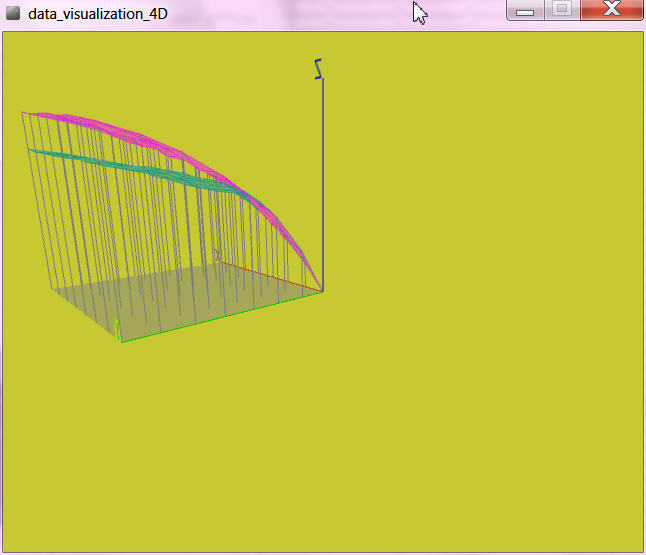 that measuring point is shown in the 3D GRAPH as a big white DOT. pls find that version at download area. the setup is executed 2 times??? very strange, and to find that line needed digging deep. but forum helped, my mistake.